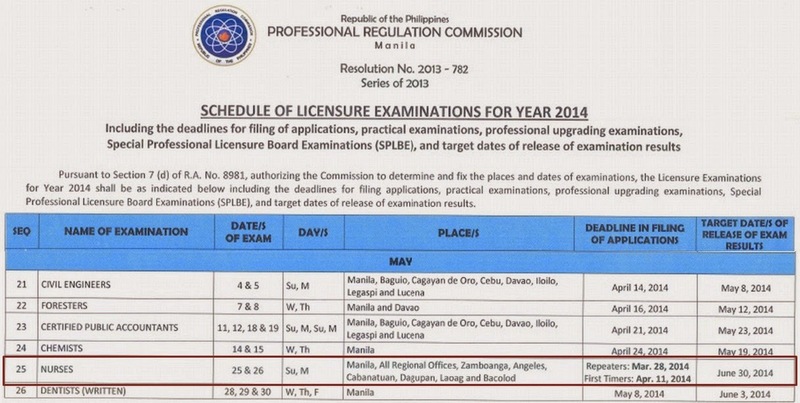 The Professional Regulation Commission (PRC) Baguio Regional Director Teofilo Gaius M. Sison, Jr. said that the May 2014 nursing board exam or nurse licensure exam (NLE) results will be released after 24 working days. 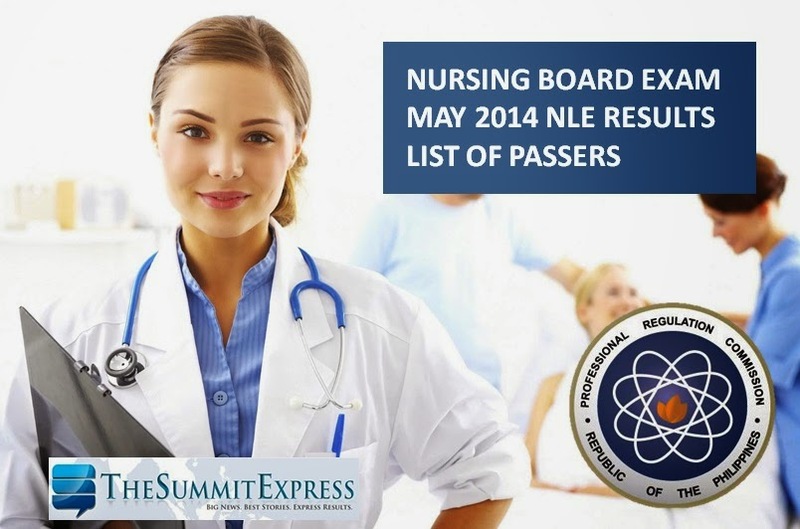 PRC Baguio announced the possible release day of NLE results as the office successfully conducted the nurse board exam in the cities of Baguio, Dagupan, Cabanatuan and Laoag on May 25 and 26, 2014. "PRC Regional Director Teofilo Gaius M. Sison, Jr. said the exam results will be released after 24 working days. Examinees can verify their grades/ratings at www.prc.gov.ph by clicking Online Verification of Ratings (OVR)," PRC Baguio said. May 2014 NLE was also administered in the following testing centers: Manila, Cebu, Dagupan, Davao, Iloilo, Legazpi, Lucena, Pagadian, Tacloban, Tuguegarao, Zamboanga, Cagayan de Oro (CDO) and Bacolod. The statement of Baguio PRC director is in accordance with PRC Resolution No. 2013-782 series of 2013. It says that target release date of May 2014 nursing board exam results is on Monday, June 30, 2014 or 24 working days from the last day of exam. Meanwhile, reliable source of NLE result forecast Dr. Carl E. Balita already announced on May 27 that he will give riddles for the exact release date of results. "Who wants riddles for the day that the Lord has made? If this message hits 5,000 LIKES, the NLE RESULT FORECAST begins....," Balita said on his Facebook page. TheSummitExpress together with our partner website, PRC Board News will closely monitor updates and results of May 2014 NLE. Like Us on Facebook or Follow Us on Twitter to receive exclusive and fresh updates.